There is much confusion about the exact definitions of marketing and branding. Most consumers seem to confuse the two. This makes it difficult for businesses to distinguish them as different concepts when it comes to benchmark hospitality and other concepts. As a business owner, you need understand the differences between marketing and branding in order to utilize them more effectively. 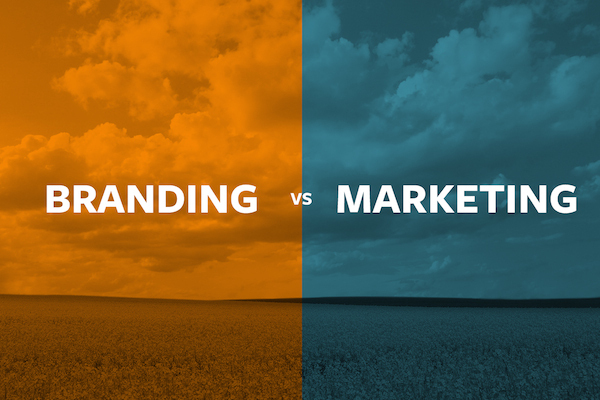 Here are some of the differences between marketing and branding. A brand is an expression of a company and its products. It lays the foundation for what you represent and what you are trying to accomplish. Effective branding allows people to connect with your business on a deeper level. It creates an identity that makes customers want to remain loyal to you for reasons outside of business. For instance, if you sell a cleaning product that also helps the environment, you can develop a brand based on being environmentally conscious. Some companies even go as far as enlisting the help of famous characters to form a brand identity. Customers will buy your product and maintain their support because of who you are. Your brand is a permanent fixture. This is what separates it from marketing. Branding is something that is built up and maintained over time. Marketing is a temporary action. Marketing takes the form of advertising campaigns that push people to buy through persuasion. Rather than try to connect with people through an image, marketing tries to appeal to a consumer’s immediate needs. For example, a marketing effort might involve highly visible ads and taglines like “don’t go through summer without this”. Branding is more subtle and would involve image-building campaigns like Google’s “We Are All Storytellers” campaign. The aggressive, temporary nature of marketing is what differentiates it from branding. The success of your marketing effort relies solely on you and your company. You determine what your strategies are. You create the advertisements and analyze its effect through data. If your marketing effort fails to resonate, it is usually because your strategies were not effective. This is crucial to understand if you are learning how to franchise. Branding is different in that it is actually out of your control. Most business owners believe that brand perception is something they create. The truth is that it is mostly created by consumers. All of your efforts to create an image are actually examples of marketing. Customers use that information and mold it into your company’s perceived brand. Your cleaning products might be trying to market an environmentally conscious image. However, your customers decide whether or not that branding is appropriate for your business. Differences in control are a major distinction between marketing and branding. Marketing and branding have very different goals. Marketing is focused more on the short term. The main goal is to sell products. Branding, on the other hand, is focused on the long term. Its main goal is to gain loyal customers. Toyota, for example, would approach the two strategies very differently. When building their brand, they focus their efforts on appealing to certain audiences, such as families. When marketing however, they try their best to sell a specific car based on performance and pricing. Contrasting goals are defining differences between marketing and branding. While marketing is the practice of promoting your business, think brochure layout ideas, branding is the process that defines how marketing is done. Marketing is a set of processes that help to drive sales and generate leads for your business. Branding is the identify and culture of your business at its core. That culture should always permeate all rules and processes of your business. Therefore, branding is the root of marketing. Marketing and branding are similar terms with very different meanings. Marketing is a short term effort that focuses on selling products. Branding is a long term effort that is concerned with gaining loyal customers through image-building. Understanding the differences between the two is crucial to utilizing them effectively. Evaluate the points in this post to help you accomplish that.